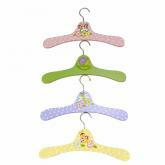 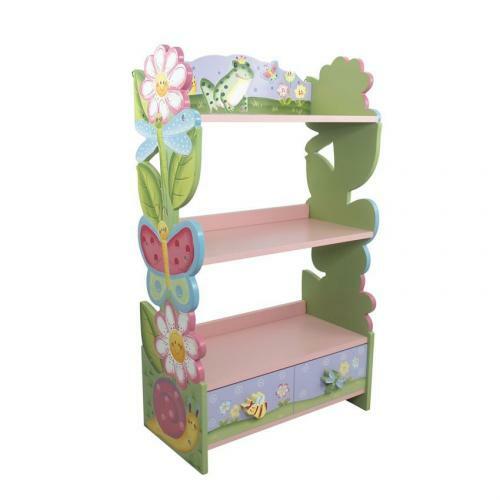 Handpainted Flower Garden Book Shelf - This flower garden book shelf is handpainted in cheerful shades of lavender, green, pink, and yellow. 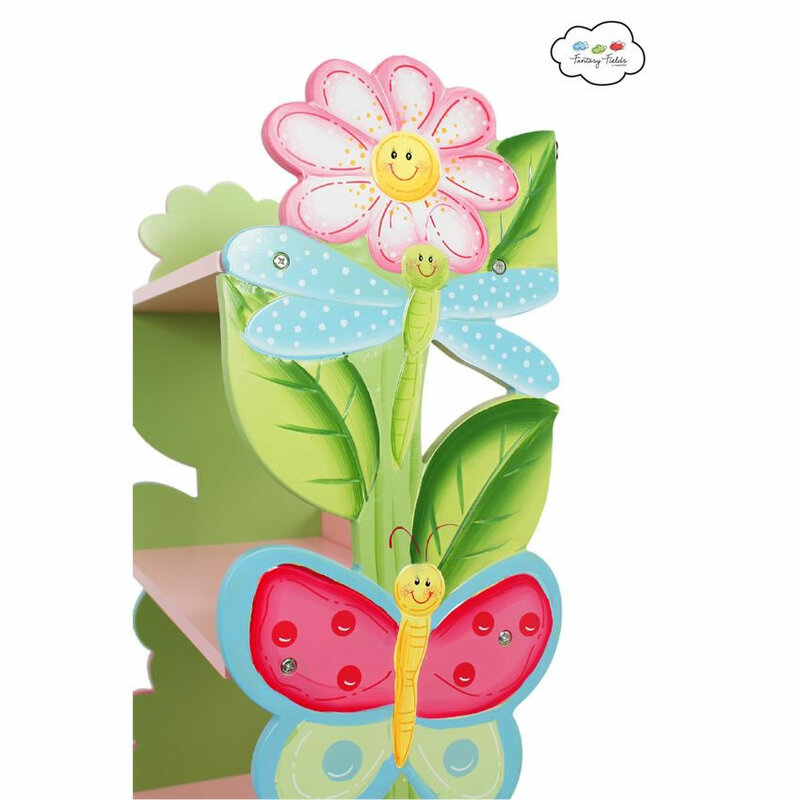 Every inch of it brings a new surprise with smiling flowers, butterflies, dragonflies, and more. 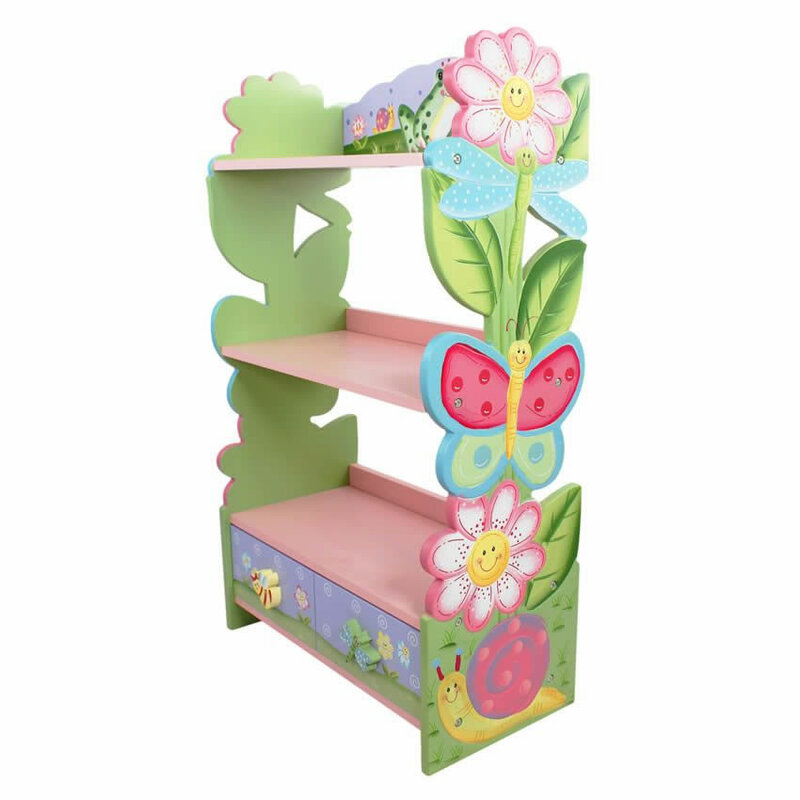 The sides of the bookcase are die-cut and hand carved for a beautiful 3 dimensional effect. 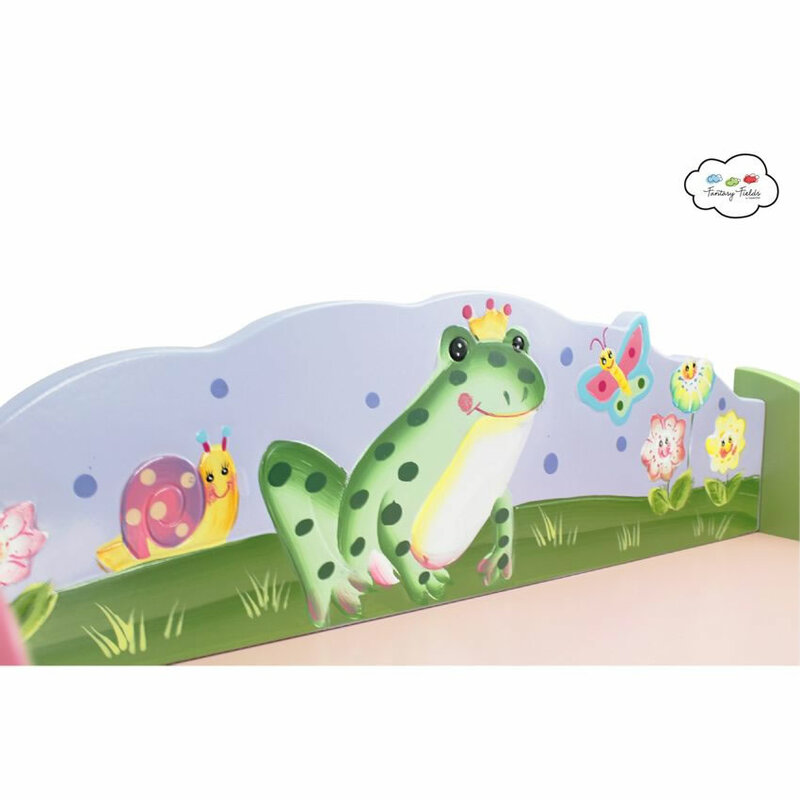 To top off all the fun, there's a frog princess hand painted with such a sweet smile. 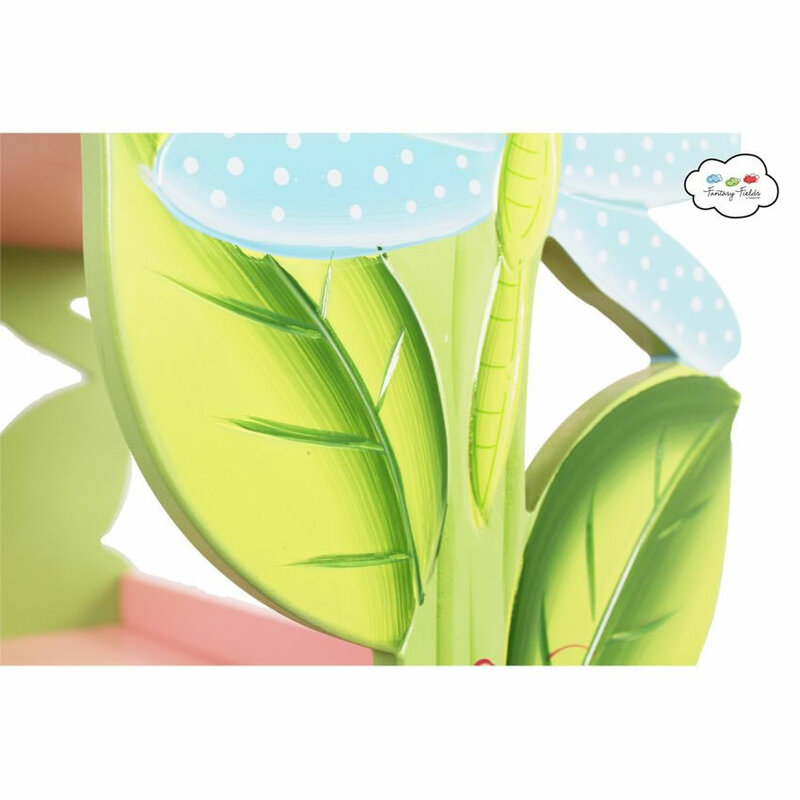 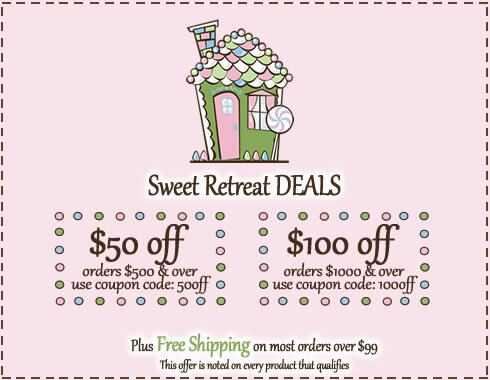 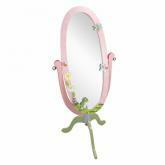 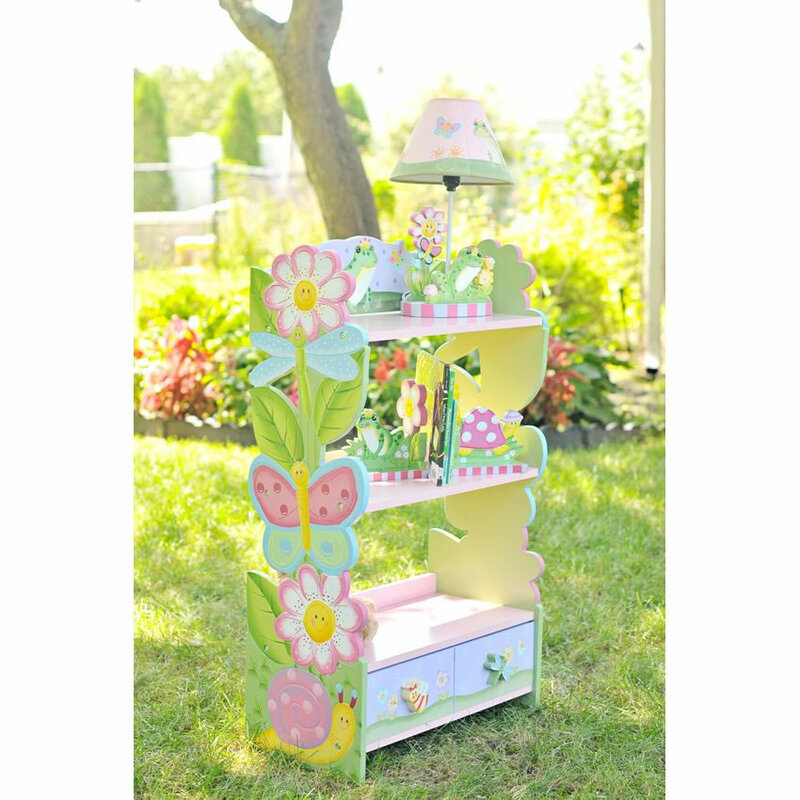 All of the fun garden friends will bring a smile to your little girl's face every time she walks into the room. 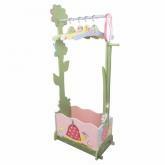 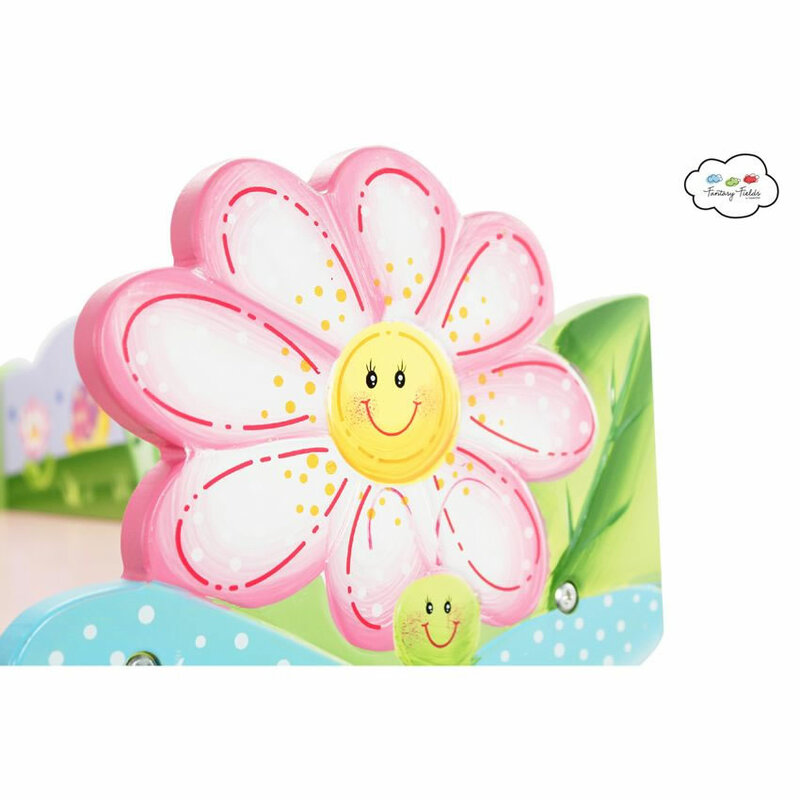 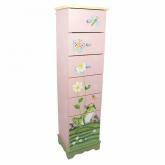 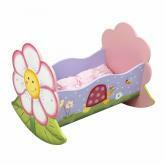 This handpainted flower garden book shelf is sure to become a treasured family heirloom. 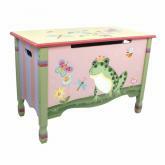 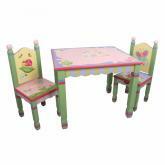 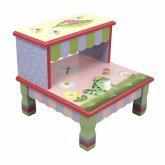 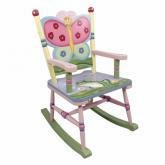 Be sure to see all of the coordinating handpainted play furniture in the Enchanted Garden Collection.